RB-Jeremy McNichols-Pass catcher extraordinaire and more? Comments Off on RB-Jeremy McNichols-Pass catcher extraordinaire and more? Each year are hundreds of stories being told during the planning and anticipation of the NFL Draft; the 2017 NFL Draft is no different. Today we will be looking at a scouting report for junior running back Jeremy McNichols, Boise State Broncos. 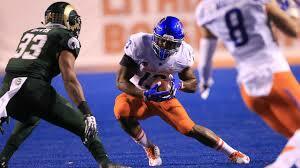 RB-Jeremy McNichols, Boise State 5’9” 214 lbs. Kenneth Dixon: Dead leg or deadly? Comments Off on Kenneth Dixon: Dead leg or deadly? 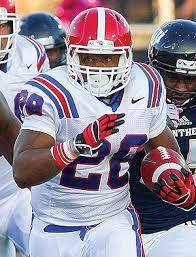 This former Louisiana Tech back has the NFL Draft and fantasy worlds scrambling for more info. Perhaps interest was originally piqued by the NCAA all-time rushing touchdown leader chase that Dixon had with Navy quarterback Keenan Reynolds? However, there is more to the story than his 72 trips to the end zone. 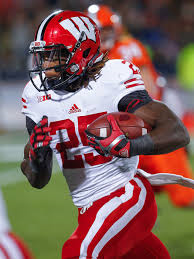 I reviewed his games against Western Kentucky, Arkansas State, Illinois (2014), Oklahoma (2014), Marshall (2014), and his Senior Bowl game along with televised practices to get a better idea of his skill set. Many of us dynasty diehards are in the middle of rookie drafts or we have just completed them, here is a weekly article about the trends that are occurring on myfantasyleague.com fantasy football rookie drafts. This the second part of a three-part series, because most leagues complete their rookie drafts before those long summer days that get filled with vacations, outside chores and activities. As always, my thoughts get based on dynasty PPR leagues with sacks being worth 2.5 times that a tackle is worth. Despite what some fantasy pundits believe, this is still a running back centric game. It is a huge shame that most runners have such a limited shelf life. 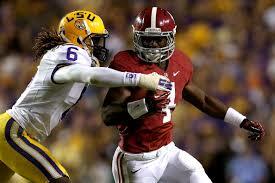 Yeldon has little competition for playing time, is a red zone threat, and just as active in the passing game. I took him at the 1.05 in a dynasty league where I desperately needed RB talent. He is the most explosive, physical runner in his class. His knee issue might be a concern, but if you are a non-contending team, this should be your selection. Gurley could sit out the first six games of the season, then again ask yourself, will it matter in a year? The former Baylor signal caller did not adapt well to taking snaps under center in Mobile. He is plenty athletic with a strong arm, but has sloppy footwork and is quite inaccurate. Now that all pro days are in the books and I’ve gotten the chance to watch everyone on the list. Here is this quick updated list with my thoughts of this dynasty fantasy football draft class. These rankings are very fluid and will get adjusted after the NFL Draft is over . Any rankings in italics are upgrades. Now that some pro days occurred and I’ve gotten the chance to watch more film. Here is a quick updated list with my thoughts of this dynasty fantasy football draft class. These rankings are very fluid and will get adjusted again before April 30th. Any rankings in italics are upgrades. 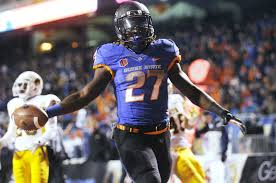 Another running back that is receiving a lot of attention for the 2015 NFL Draft and dynasty/rookie drafts is Boise State’s Jay Ajayi. When you look past his colorful locks, and the blue field that he plays his home games on, what do you have? Answer..an extremely talented runner who is superior to the muscle hamster aka Doug Martin in every way. I reviewed six of his games to learn more about the skills he brings to the NFL: Ole Miss, Colorado State, Air Force, Nevada, Wyoming, and Fresno State. 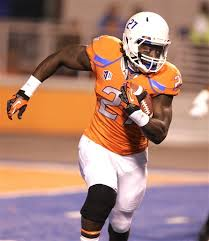 RB Jay Ajayi, Boise State 6’ 0” 221 lbs. 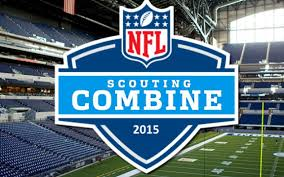 Now that the NFL Combine is over, the fantasy community is all about the rankings. Here is a quick list with my initial thoughts of this dynasty fantasy football draft class. My rankings are very fluid and could change dramatically before April 30th. This is a minimalist list that will get more meat on it in later versions. The powerful running back looked smooth in drills showing off his loose hips and good hands. He ran a slower forty than thought at 4.60. It’s that time of year when I turn my focus to the college bowl games to gain insight. 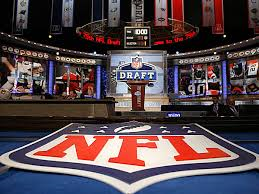 I will do my best to find some draft eligible players that could improve your dynasty teams. This article intends to start conversations and encourage continued thought throughout the entire draft process. These are my observations based on the bowl games, unless otherwise indicated. There will be much more in-depth, thought-provoking discussions later in the offseason. I am listing these players alphabetically.